In 1856, Maude's father, William Mitchell, came from Connecticut to support the Free State cause in Kansas. 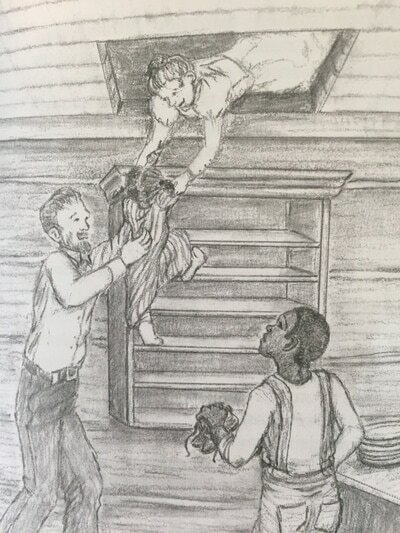 William and his sister, Agnes, hid runaway slaves in their cabin, including Jesse and Abby, two slave children who'd been cruelly separated from their mother. Henrietta had learned about the Underground Railroad at school, but she never realized how dangerous it was for everyone involved. But what has slavery got to do with the family secret and Aunt Jo being mad at her parents? As the pieces of the puzzle begin to come together, Henrietta discovers a surprise from the past that nobody dreamed was possible. Chapter 6: "Hang the Abolitionist!" Dawn of Day is an engaging introduction to a little-known part of Kansas history—the pre-Civil War immigration of abolitionists into the Territory to help “Bleeding Kansas” join the Union as a free state. 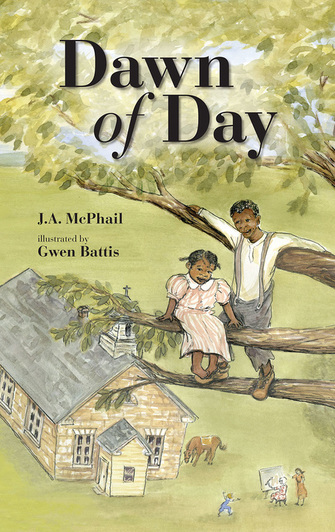 The book offers a fictional but realistic glimpse into the lives of the Mitchells and other families who settled in Wabaunsee, who were involved in the fight for freedom and the secret activities of the Underground Railroad. Featured in the Books Section of the August 2012 edition of Kansas Country Living Magazine. View here. 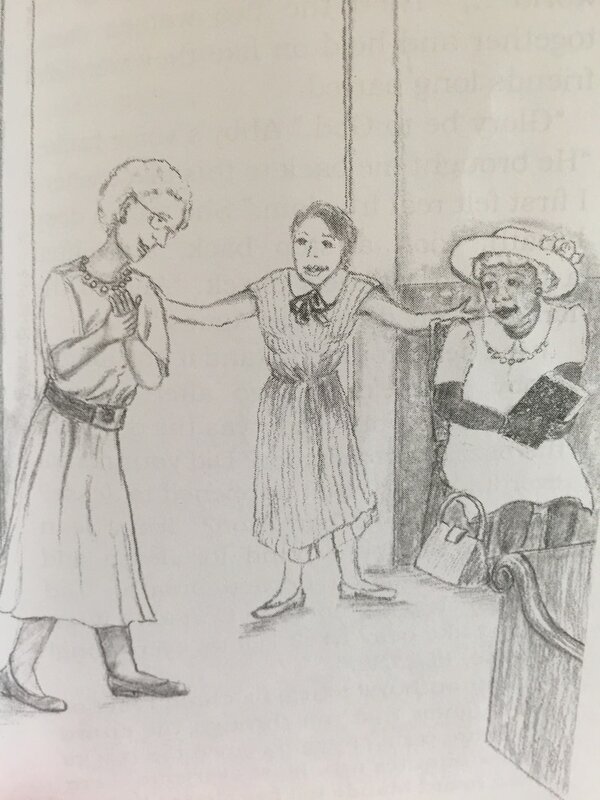 ​Jeannie says, "This story is close to my heart because it takes place in Wabaunsee County, KS, where my mom grew up, and she's one of the characters - when she was six years old! 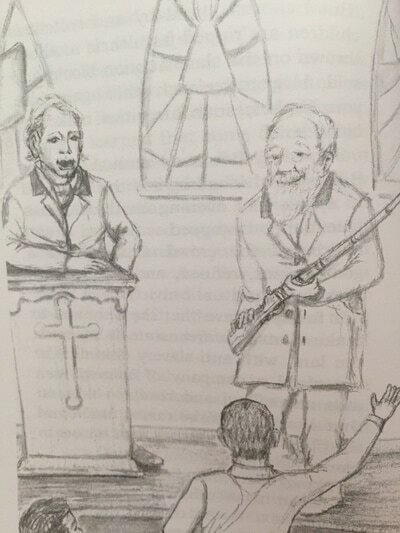 The story includes a tale of the Underground Railroad, the Mitchell family and other local settlers, and their connection to the historic Beecher Bible Rifle Church, which was actually one of the very first places I ever sang as a child. Part of the proceeds from Dawn of Day are going to Mt. Mitchell Heritage Prarie. You can read all about this wonderful local history preservation project at http://www.mountmitchellprairie.org/."